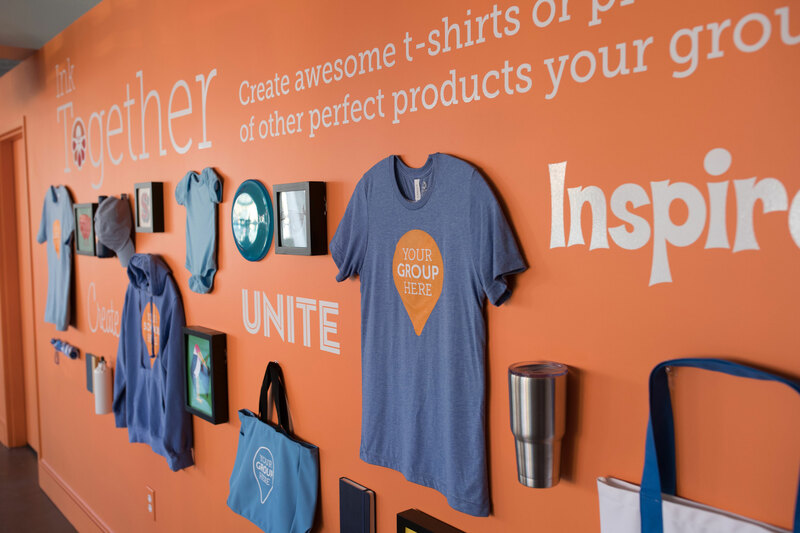 Custom Ink, the leading provider of custom apparel and accessories for groups, teams, events, looked to expand its customer reach from e-commerce to its first brick and mortar storefront. I was presented with the challenge of translating the brand identity from an online experience to a captivating retail environment. 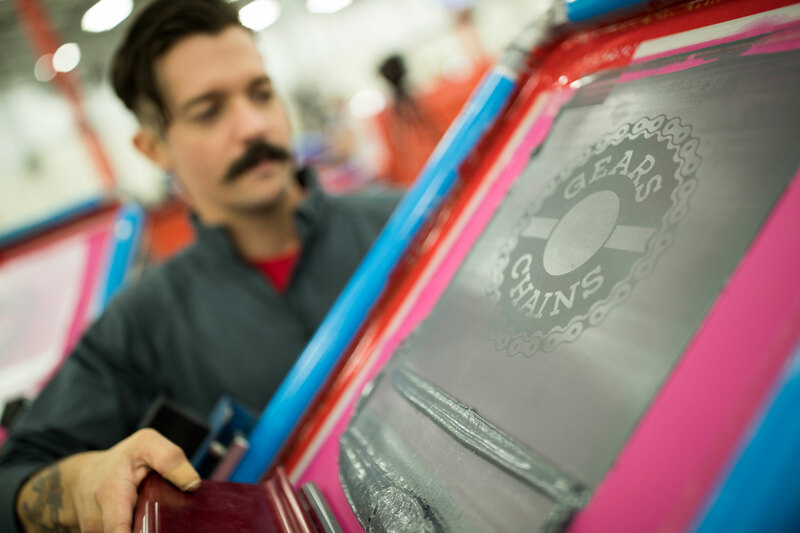 My focus was to create awareness and clarity around the custom apparel business for potential customers. Leading a creative team of designers, writers, and production artists, I conceived the retail visual expression to educate, inform, and delight customers – whether walking past the window front or browsing through the store. This “Industrial Pop” style, which I coined, expressed the colorful and playful brand personality of Custom Ink, while aligning with the surrounding neighborhood aesthetic to showcase local flavor. Community wall boards featuring local events and customer designs helped foster a sense of community and affiliation. The initial store exceeded sales expectations and the environment design established the creative direction as a model for all successive retail stores. 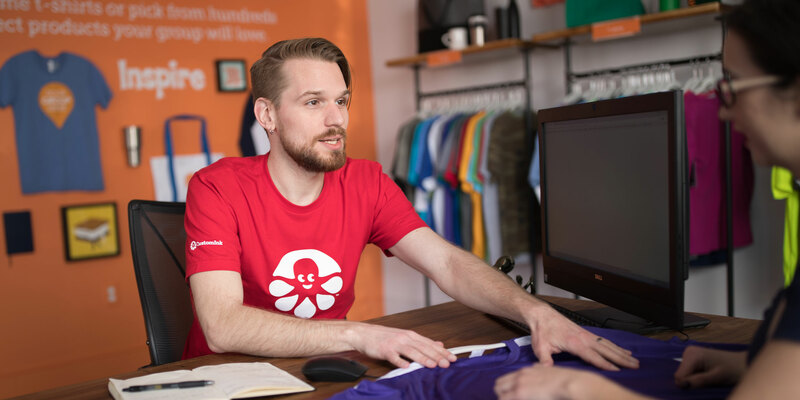 The friendly and easy-to-navigate retail environments fostered customer understanding about the custom apparel process while connecting Custom Ink employees with customers and the local community.